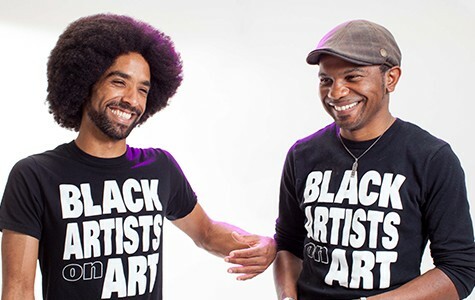 Unity Lewis (left) and Trevor Parham hope to create better representation for Black artists in Oakland and beyond by providing an accessible platform for artists to share their work and insights. Folks who had given up on going to art shows a decade or so ago re-emerged February 6 at Oakstop, a co-working space and art gallery in Uptown Oakland. Event-goers rekindled relationships with old friends and filled the gallery with chatter, as they looked in awe at the displayed works by influential Black artists. The evening marked the official opening of Black Artists on Art: The Legacy Exhibit, and for appreciators of art by African-American artists, it was a special — and long overdue — occasion. Works of art by seminal contributors to the Black Arts Movement — including Elizabeth Catlett, Jacob Lawrence, and Charles White — that would normally only be found in museum exhibitions were shown alongside Black artists emerging from Oakland today. Nearly one hundred pieces of work adorned the walls of Oakstop, with the exhibit bursting out of the assigned gallery space and into nearby conference rooms. Although the event honored and celebrated Black artists from throughout Oakland and beyond, it focused largely on Samella Lewis, the revered artist, scholar, and collector of African-American art. At 91 years old, Lewis is a living legend of African-American art history, and in many ways, it is she who made the entire night possible. 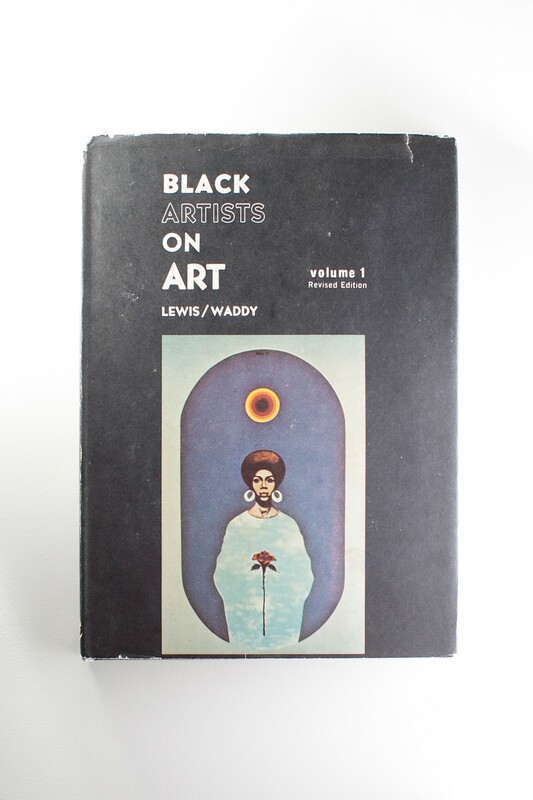 In 1969, Lewis and Ruth G. Waddy published the book Black Artists on Art, and followed up with a second volume in 1971. The premise of the books was relatively straightforward, yet revolutionary: an anthology of profiles of contemporary Black artists — many of whom were not well known — that were written by the artists themselves. It was the first catalog of working Black artists in America in which the subjects spoke honestly about their work — be it race-related, revolutionary, or simply an aesthetic exploration — and reflected on art practice in general from the perspective of being African American. Although the books ultimately became crucial historical texts on African-American-made art, they were under-appreciated by the mainstream art world. The series never continued beyond the second volume. 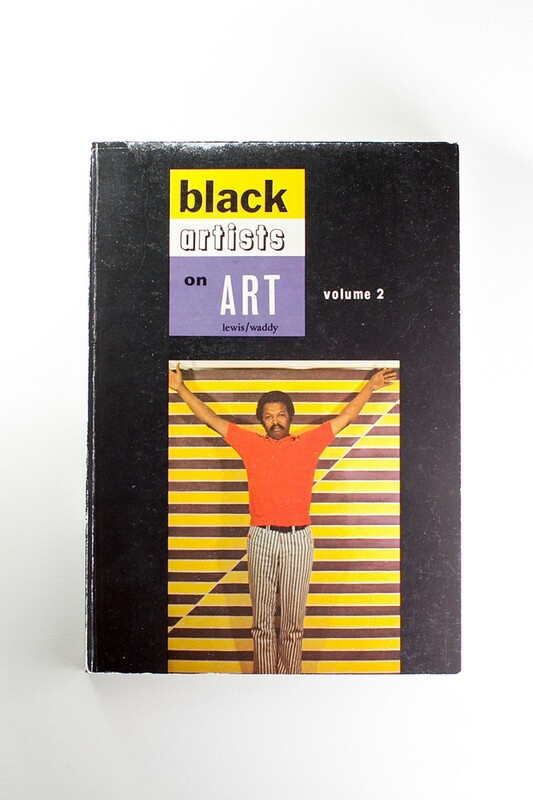 Lewis, who lives in Los Angeles, later founded Black Art: An International Quarterly (now the International Review of African American Art), which still publishes today. 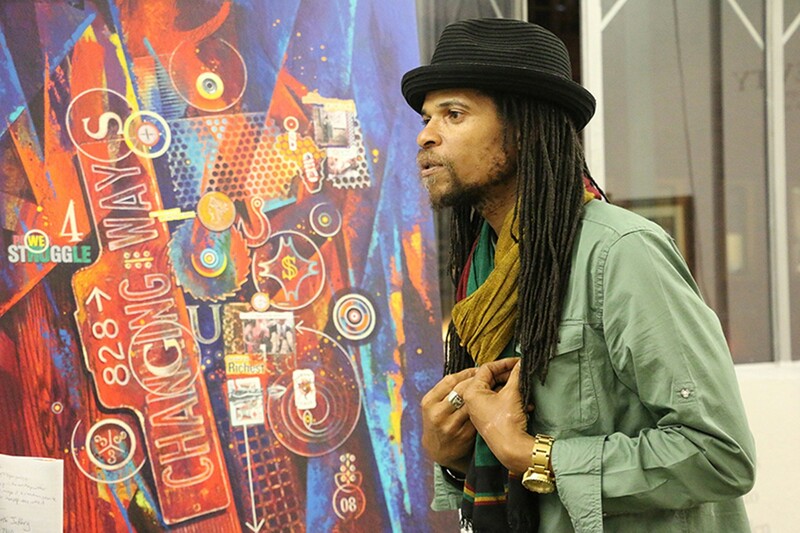 Recently, Samella Lewis' grandson, Unity Lewis, teamed up with Oakstop founder Trevor Parham to republish the original two volumes of Black Artists on Art, and to begin producing new ones, which will be designed by local artists Abba Yahuda and Mike "Buggsy" Malone. Their goal is to gather images and information from five hundred practicing Black artists and include that content in forthcoming volumes, the first of which will be published at the beginning of next year. They have collected content from about one hundred artists so far. In the meantime, Lewis and Parham are organizing shows with some of the artists already on board, alongside some works from the artists in the first two volumes. 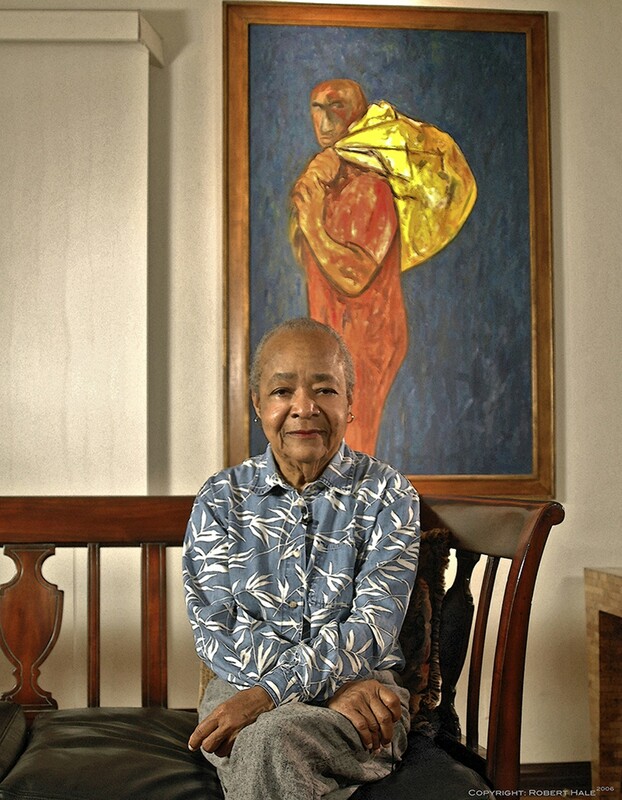 Most of that art has come from Samella Lewis' personal collection. Eventually, every artist profile published in the forthcoming volumes, and more, will also be available online in a searchable catalog. The goal of the project is to honor the legacy of Black artists in America, while also leveraging the fame of established artists to garner better recognition for those less well known. That increased visibility is coming at a critical moment for Oakland artists— a moment in which rising rent prices and the forces of gentrification are making it increasingly difficult to maintain financially sustainable art spaces. It's also a moment in which channels for artistic representation are becoming flooded with new faces while venues for Black artists are at increased risk of being displaced. During the past decade, much of the national attention on Oakland's creative culture has focused on Art Murmur, which began in 2006 to help promote Oakland's art galleries by hosting First Fridays art walks in which members of the collective host concurrent openings. By 2012, the monthly event grew into a full-blown block party centered in Uptown. But of the 45 galleries that take part in Art Murmur, only four are Black-owned, and only three (including Oakstop) are within the vicinity of the First Friday happenings. Those numbers matter because outside of those four galleries, solo shows featuring Black artists are a rare sight these days in Oakland. For a number of reasons, many local Black artists feel their art is only welcomed and honored in Black-owned galleries. Over the years, some Oakland curators and artists have worked to carve out space for local Black artists and artists of color. 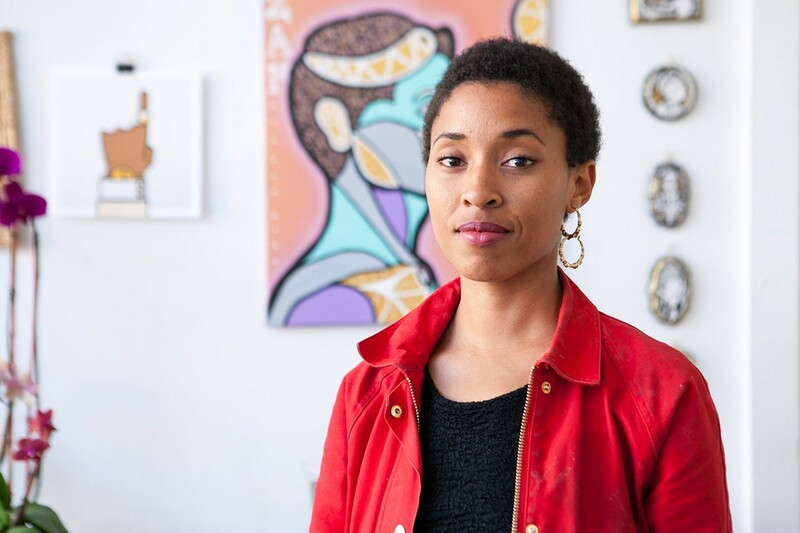 But as the Oakland art scene becomes increasingly crowded, some members of the Black artists community feel that it's crucial to call attention to their work if they're going to avoid getting pushed out. "We feel that art, and sort of mobilizing around art, is one of the best ways to keep that community here and relevant and present and thriving, as well as making sure that they can grow along with the new growth that's coming in," Parham said in an interview. 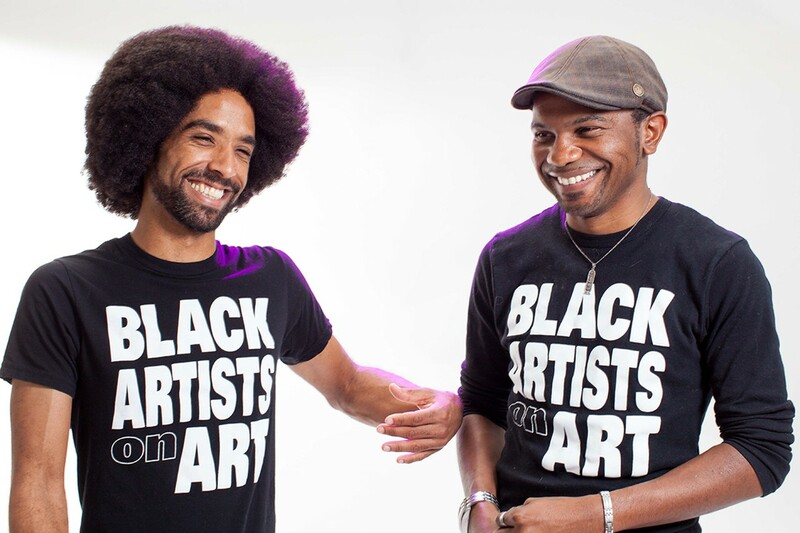 The Black Artists on Art project, as a result, is not only designed to increase the visibility of work by Black artists, but also provide a sense of security in the face of threatening change. In the introduction to the first volume of Black Artists on Art, Samella Lewis discredits the suffocating homogeneity of the "mainstream" art world — a world that historically has excluded Black artists from the dominant canon of fine art. She begins by declaring that the book will not employ a historical perspective, because art shouldn't need historical justification to be seen as legitimate. She goes on to identify a bias toward "European style aesthetics" in America, then adamantly rejects that bias, writing that it "may be regarded more as ancestor worship rather than a valid system of aesthetics." She argues that art should cumulatively reflect the variety of differences present in a society, as well as the commonalities. But she also argues that because whites control the economy, they also dictate aesthetic standards and are able to deem other cultural orientations as "'primitive,' quaint or suspect." It is only by breaking free of that system of standards that art may begin to function outside of a "closed society," she writes. In short, "Black Artists on Art is a book to promote change — change in order that art might function as an expression rather than as an institution."